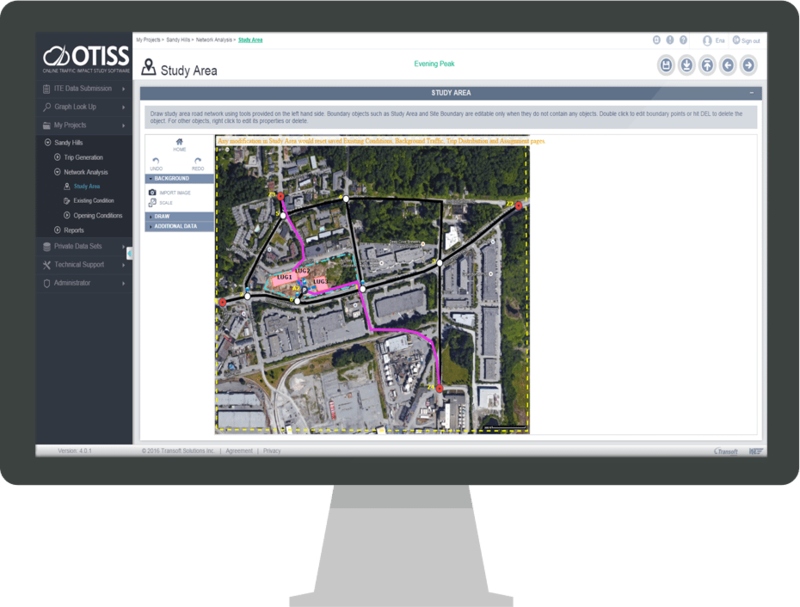 OTISS® (for Online Traffic Impact Study Software), developed by Transoft Solutions in cooperation with the Institute of Transportation Engineers (ITE), is the first cloud-based program of its kind. Transportation professionals can access ITE trip generation data anywhere to help in traffic impact assessments for multi-use land development. Now trip generation analysis, trip internalization, and pass-by trips can be completed all online without the need of manual calculations and spreadsheets.